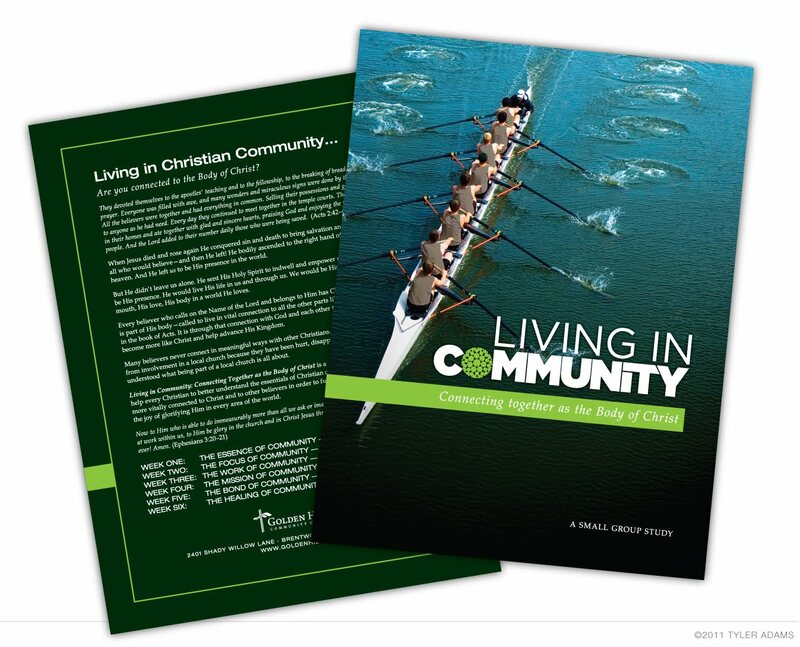 Just like last year's book, Golden Hills has written and produced a six-week small group campaign devotional. 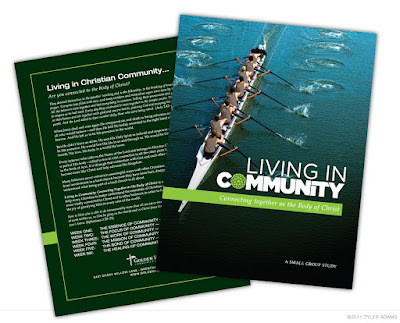 This year's book is called Living in Community. The theme focuses on learning how to become the body of Christ that Jesus envisioned when the church was first created. Learning about how and why we belong to the body of Christ, focusing on community through love, disciple-making, persevering through suffering and trials, and forgiveness are all parts of the study. I designed the workbook cover shown above. The main image of the rowers rowing is meant to reflect the church. We all must row together as a team, for if any one person goes against what the rest of the group does then the boat becomes much less efficient or goes off course entirely. Also like the people in the image, we cannot see where we are headed. Only the person sitting at the back of the boat (God) can see what's ahead. He gives the orders and the rowers follow obediently. They keep their eyes on their coach and together work to get to where he directs them. I added a subtle touch to the image of the boat also heading into the darkness, which is what we as a church are called to venture into. This was a fun project which saw well over 50 concepts and cover image mock-ups before this final direction was decided upon.